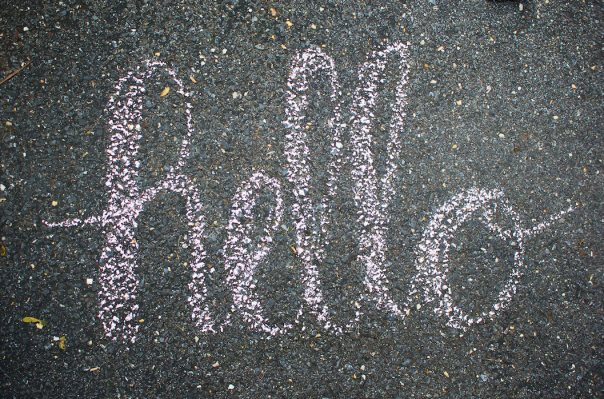 One of my favorite summer childhood memories was using sidewalk chalk to draw with my friends. We would make “masterpieces”, take photos with our drawings, and watch them wash away when the rain came pouring down. 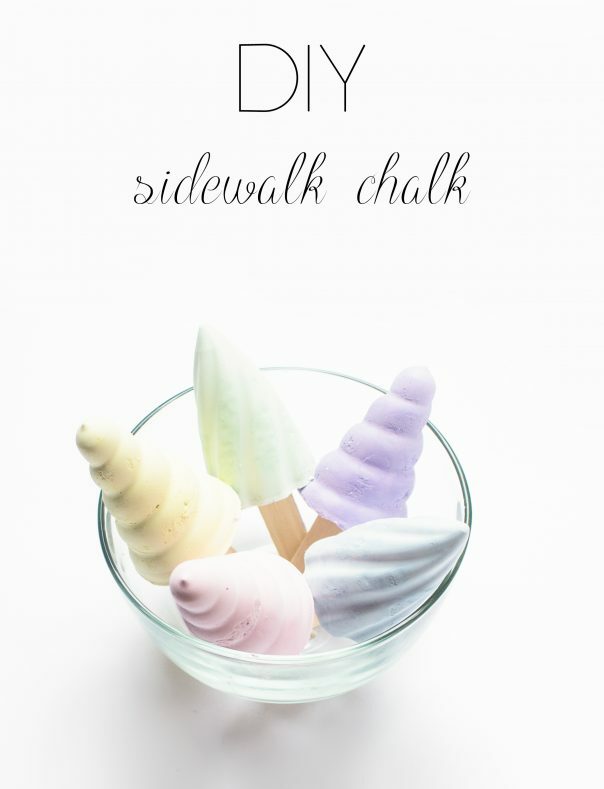 It turns out that sidewalk chalk is extremely simple and easy to make! 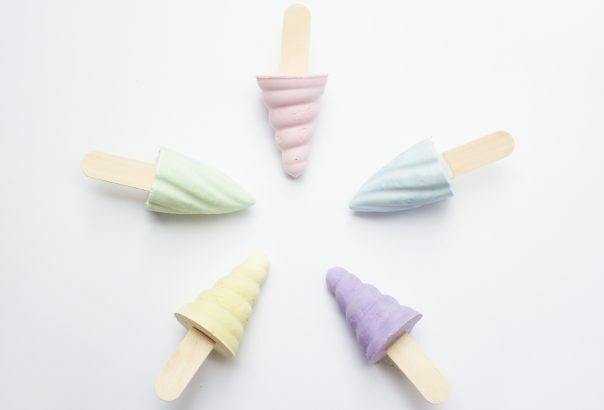 What I think is the best part of these, is that you can hold them by the popsicle stick, that way your hands (or your children’s hands) don’t get messy and all over your clothes! All you need are a few supplies and 10 minutes of your time. Work QUICKLY! Plaster of paris begins to set very fast. Make sure you use a disposable cup/spoon, as plaster of paris will clog up your drain and could break your pipes. Making sidewalk chalk can get messy, work outside or put down a sheet for easy cleanup. I wasn’t exact with all my measurements, instead eyed it compared to how big my molds were. 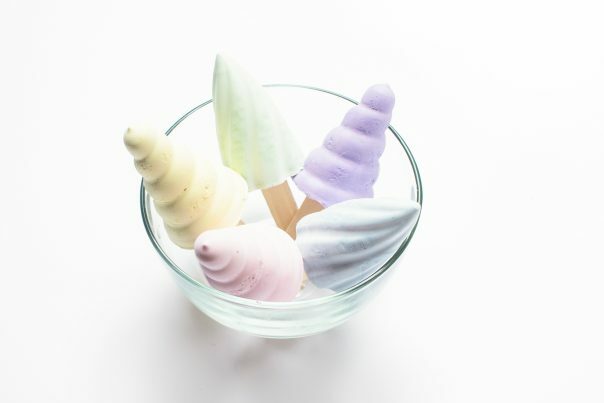 For my particular popsicle molds, I filled up half of the paper cup with plaster of paris, and added some of the tempura paint. Next, add your water a little bit at a time, until you reach a yogurt like consistency. I ended up with about a 1:1 ratio. Remember that the mixture will begin to set quickly! If it starts to set up on you before you are able to pour it into the mold, add more water a stir it quickly. 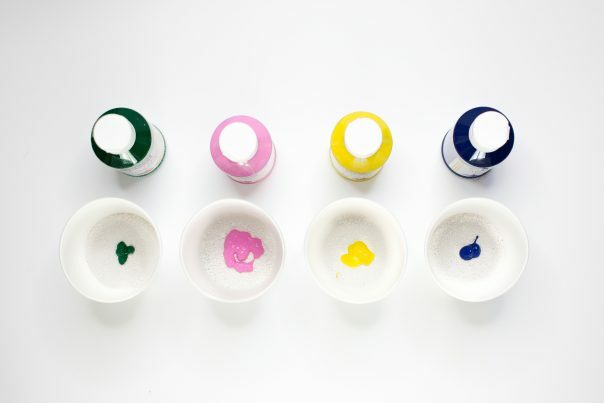 Prepare your molds by making sure they are clean, then pour your chalk mixture into the molds. Cut the popsicle sticks in half, and let the chalk sit for a couple minutes before putting them in. 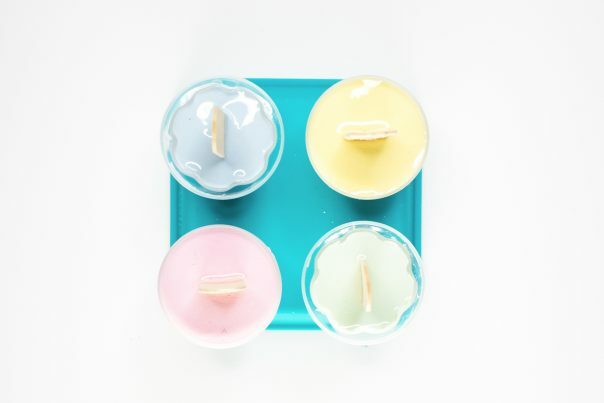 Let your sidewalk chalk completely set for 24 hours, then pop out of the molds and have fun! I absolutely love how these turned out! The chalk is very pigmented, and draws very smoothly. 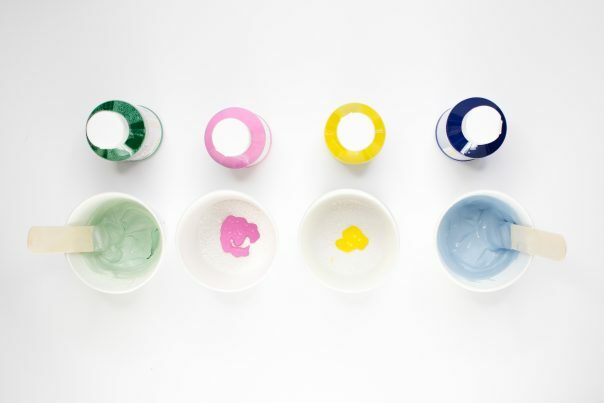 I decided to experiment by pouring a few different colors of the tempura paint into the mold, and then pouring in the plain white chalk mold. It turned out amazing! 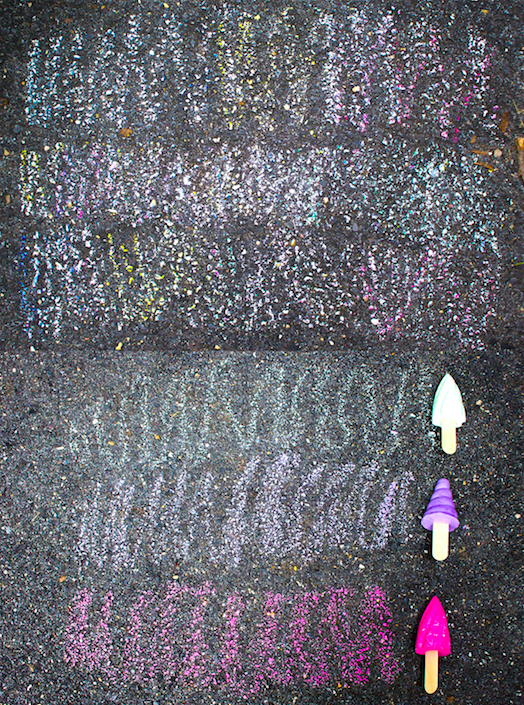 The picture below shows how the colors changed every little bit with the multi-colored chalk. Try it out for yourself and see what you can create!